Our brand new Green Square showroom in Hatch End will display a wide range of renewable energy products, with highly trained staff to provide customers with a renewable energy solution to fit their specific, individual needs. As with all of Green Square's renewable energy showrooms located in Guildford, Tunbridge Wells, Stokenchurch, Christchurch and Rainham, Hatch End will offer an exciting and friendly experience when shopping. Our energy showrooms provide a unique way to view our products, with impressive displays and information. We show our customers the importance of a sustainable future and help explain products in a clear and concise manner, answering any questions that may arise. It is our aim to ensure any new or returning customers feel confident in their decisions so we make sure our staff can offer insightful knowledge at all times. This starts from your initial consultation, to the installation of your renewable energy products, all the way through to our after sales teams, providing confidence in anyone who invests in renewable energy products. Learning about renewable energy is a process that can be daunting. Green Square's experts take an active role and fully assist in developmental demographics, design, installation and to sign off of your renewables, taking a lot of the stress away from planning. 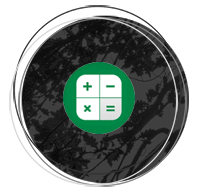 We can assess specific personal needs like existing electricity usage, building requirements and restrictions to ensure the best option for your personal needs. Whether it’s a Biomass Boiler, Biomass Stove, Air Source or Ground Source Heat Pump, Solar PV, Solar Thermal, Heatbank Thermal Storage or Battery Storage, we can help each step of the way. Running costs less than traditional fossil fuels. Can use current radiator system. Suitable for 100% of hot water and heating requirements. Biomass stoves burn compressed wood or pellets to create a source of heat. Colour matched to any interior design. Air Source Heat Pumps draw in heat from the air outside. Keeps your home at the temperature you decide. Reduces your heating bills by up to 50%. Caters to all your hot water needs. Reheats your cylinder every time you use hot water. Solar Thermal Heating is an innovative way to capture solar energy from the sun. Lower installation cost than PV. Excellent as a link in system to biomass. Ground Source Heat Pumps use buried pipes which extract heat from the ground. Transfers heat from the ground. 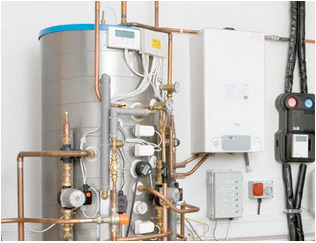 Can provide all heating and hot water needs. 3kw of heat uses only 1kw of electricity. A thermal store is a way of storing and managing renewable heat until it is needed. Supports conventional or immersion heater renewable technologies. 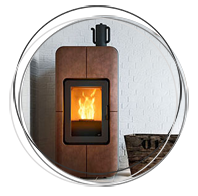 Compliments stoves and biomass boilers, heat pumps and solar thermal heating systems. A battery storage unit helps you make the most of your electricity generated by solar. Run your household, charge your car, heat your pool. Electrify your home if it doesn’t have a national grid connection. Solar PV works by capturing the sun’s energy using photovoltaic cells and work by converting the sunlight into electricity.